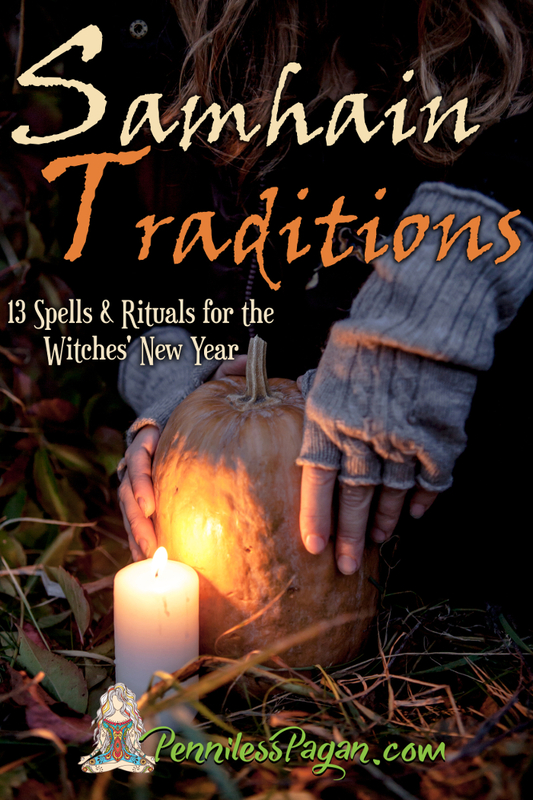 Slice yourself some pumpkin pie, pull on your favorite fall sweater, and join Michaela from PennilessPagan.com in celebrating Samhain with thirteen BRAND NEW Halloween spells and rituals honoring every witch’s favorite time of year! -Enjoy 13 previously unpublished spells such as Samhain Seed Spell, Aura-Cleansing Spirit Spray, Lost Souls Lighted Garland, Paper Pumpkins, Mind’s Eye Divination Tea, and more. -Most spells can be completed in less than 20 minutes! 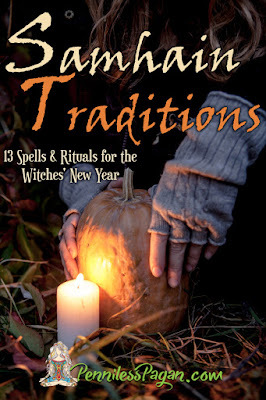 -Includes simple ways to honor Samhain, guidance on finding your own brand of magick, herbal substitution guide, seasonal essential oil blends to imbue your home with scented magick, and much more. -Also includes simple BONUS ritual for when your Halloween gets extra chaotic. Treat yourself to a copy today and make your October magickal! For a detailed list of spells and a sneak peek at photos, check out the Samhain Traditions blog post.